Refugees in Thailand are today in uncertain situation. Nearly 100,000 refugees were forced to flee from armed conflicts and living in nine camps in four provinces along the Thai-Myanmar borders for almost 30 years. Moreover, UNHCR also working in northern part of Thailand to help statelessness people who are oftend denied to the basic rights because they are not considered as nationals by any State under operation of its law. Rebuilding lives seems to be very distant and every second means giving hope to their lives. They urgently need assistance to support their lives and create a better future. 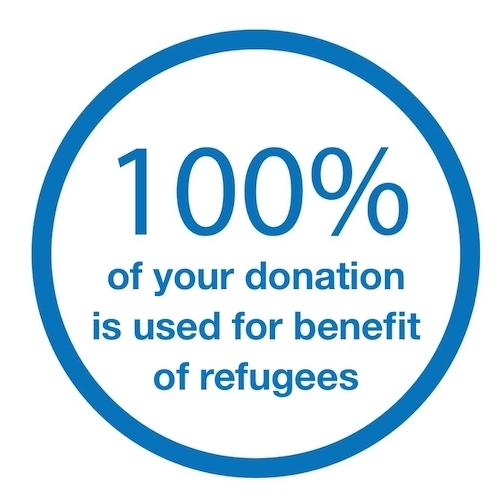 UNHCR is on the ground providing protection and lasting solutions but we need your help. to support projects for “Children” with the monitoring the well-being of children without parents in camps by supporting social workers, psychologists and staff to take care of them closely and regularly includes child protection program in various activities. We also help ensure all new born refugee babies are registered at birth ensuring they are legally recognized as in need of assistance.